Livorno is preparing to live “Effetto Venezia“, a traditional big event organized in the characteristic city district named “Venice” and which comes this year to its 26th edition, completely inspired to France. For ten days, from July 29 to August 7, 2011, will take place all kinds of events, from special guided tours, theater performances,concerts, exhibitions and street performances played in the Venice neighborhood, transformed for the occasion on this year in a large district of Paris. Saturday, July 30 will be a “Notte Bianca” or “White Night” and main museums, churches and shops are open till late at night. At the Darsena Nuova in the port of Livorno at 1030pm you can also assist to the “Palio dell’ Antenna”, an exciting race of the four rowing boats representing the main city neighborhoods. 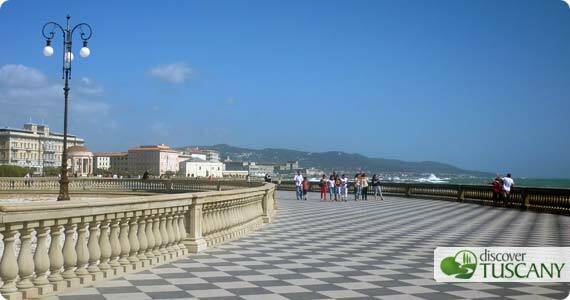 “Effetto Venezia” is with no doubt a wonderful opportunity to visit Livorno and appreciate one of his most characteristic districts! The complete event program is available on the official website of the Effetto Venezia (only in Italian).